This is the type species (lectotype) of the genus Caulerpa. Commonly used in aquaria, to which it is well adapted. Europe: Adriatic Sea (Giaccone 1978, Gallardo et al. 1993), Balearic Islands (Colmeiro, M. 1868, Barceló 1879-1881, Piccone 1889, Rodríguez y Femenías 1889, Buen 1905, Sauvageau 1914, Garcías 1919, Bellón 1921, Buen 1934, Navarro & Bellón 1945, Gómez Garreta 1983, Ribera Siguán 1983, Ribera Siguán & Gómez Garreta 1985, Gallardo et al. 1993, Ribera, Coloreu, Rodriguez Prieto & Ballesteros 1997, Box et al. 2010), Black Sea (Gallardo et al. 1993), Corsica (Boudouresque & Perret 1977, Coppejans 1979, Gallardo et al. 1993, Rodríguez Prieto, Boudouresque & Marcot-Coqueugniot 1993), France (Gallardo et al. 1993, Anon. 2017), Greece (Gerloff & Geissler 1974, Haritonidis & Tsekos 1976, Tsekos & Haritonidis 1977, Athanasiadis 1987, Gallardo et al. 1993, Tsirika & Haritonidis 2005, Tsiamis et al. ), Italy (Giaccone 1969, Feoli & Bressan 1972, Gallardo et al. 1993, Gallardo et al. 1993, Cecere et al. 1996, Furnari, Cormaci & Serio 1999, Rindi, Sartoni & Cinelli 2002), Malta (Price 1970), Portugal (Ardré 1970), Spain (Bellón 1921, Bellón 1940, Seoane-Camba 1965, Romero Martinengo & Romero Martinengo 1982, Barcelo & Seoane 1982, Pérez-Ruzafa & Honrubia 1984, Gallardo et al. 1985, Soto & Conde 1989, Pérez-Ruzafa 1990, Gallardo et al. 1993, Flores-Moya et al. 1995, Rueda & Salas 2003, Valera-Alvarez et al 2006, Terrados, J. & Marba, N. 2006, Pérez-Ruzafa et al. 2008, de los Santos, Pérez-Lloréns & Vergara 2009, Mercado et al. 2009, Hernández et al. 2010, Hernández et al. 2010, García-Sánchez et al. 2012, Pérez-Ruzafa et al. 2012, Vergara, J.J. et al. 2012), Spain (incl. Canary Is.) (Gallardo et al. 2016), Turkey (Europe) (Güven & Öztig 1971, Güner, Aysel, Sukatar & Öztürk 1985, Gallardo et al. 1993, Zeybek, Güner & Aysel 1993, Taskin et al. 2008 ), Veneto (Sfriso 2011). Atlantic Islands: Bermuda (Taylor 1960, Schneider 2003), Canary Islands (Børgesen 1925, Gil-Rodríguez & Afonso-Carrillo 1980, Gonzalez Henriquez & Santos Guerra 1983, Haroun Trabaue et al. 1985, Gil-Rodriguez, Afonso-Carrillo & Wildpret de la Torre 1987, Haroun et al. 2002, Moreira-Reyes et al 2003, Gil-Rodríguez et al. 2003, John et al. 2004, Hernández-González et al. 2004a, Hernández-González et al. 2004b, Barberá et al 2005, Barquín-Diez et al. 2005, Moreira-Reyes, Soler-Onís & Gil-Rodríguez 2005, Anon. 2011, Afonso-Carrillo 2014, Sangil et al. 2018), Cape Verde Islands (John et al. 2004, Prud'homme van Reine, Haroun & Kostermans 2005), Madeira (Levring 1974, Neto, Cravo & Haroun 2001, Haroun et al. 2002, John et al. 2004). North America: Florida (FL) (Taylor 1960, Dawes 1974, Schneider & Searles 1991, Lam & Zechman 2006, Littler, Littler & Hanisak 2008), Mexico (Taylor 1960, Robledo & Freile-Pelegrín 2005, Tussenbroek et al. 2006), Mexico (Caribbean) (Taylor 1972), North Carolina (NC) (Taylor 1960, Schneider & Searles 1991), Texas (TX) (Wynne 2009, Lehman 2013). Central America: Panama (Wysor & Kooistra 2003). Caribbean Islands: Bahamas (Taylor 1960), Barbados (Taylor 1960), Caribbean (Littler & Littler 2000), Cuba (Taylor 1960, Cabrera, Moreira & Suárez 2004, Suárez 2005, Suárez, Martínez-Daranas & Alfonso 2014), Curaçao (Fricke et al. 2018), Jamaica (Taylor 1960), Lesser Antilles (Taylor 1960, Taylor 1969), Martinique (Rodríguez-Prieto, Michanek & Ivon 1999, Delnatte & Wynne 2016), Puerto Rico (Taylor 1960), St. Eustatius (van der Loos & Prud'homme van Reine 2015, van der Loos et al. 2017), Virgin Islands (Taylor 1960). South America: Brazil (Taylor 1930, Taylor 1960, Oliveira Filho 1977, Moura 2010), Colombia (Taylor 1960, Schnetter 1969), Venezuela (Taylor 1960, Ganesan 1990). Africa: Algeria (Gallardo et al. 1993, Bachir Bouiadjra et al. 2010), Egypt (Papenfuss 1968 , Aleem 1993, Gallardo et al. 1993), Egypt (Mediterranean) (Shabaka 2018), Libya (Gallardo et al. 1993), Morocco (Gallardo et al. 1993, Benhissoune, Boudouresque & Verlaque 2001, Benhissoune, Boudouresque & Verlaque 2001), Tanzania (incl. Zanzibar) (Oliveira, Österlund & Mtolera 2005), Tunisia (Meñez & Mathieson 1981, Ben Maiz, Boudouresque & Quahchi 1987, Gallardo et al. 1993). South-west Asia: Cyprus (Taskin et al. 2013, Tsiamis et al. 2014), Israel (Nemlich & Danin 1964, Einav 2007, Einav & Israel 2008, Ukabi et al. 2014), Lebanon (Lakkis 2013), Levant states (Gallardo et al. 1993), Turkey (Asia) (Taskin et al. 2008 ). South-east Asia: Indonesia (Famà, Wysor, Kooistra & Zuccarello 2002, Atmadja & Prud'homme van Reine 2014), Malaysia (Silva, Basson & Moe 1996), Philippines (Silva, Meñez & Moe 1987, Ang, Sin Man Leung & Mei Mei Choi 2014). Europe: Balearic Islands (Gallardo et al. 1993), France (Gallardo et al. 1993, Anon. 2017), Turkey (Europe) (Güven & Öztig 1971, Güner, Aysel, Sukatar & Öztürk 1985, Gallardo et al. 1993, Zeybek, Güner & Aysel 1993, Taskin et al. 2008 ). Accesses: This record has been accessed by users 19862 times since it was created. Boisset, F. & Ferrer-Gallego, P.P. (2015). 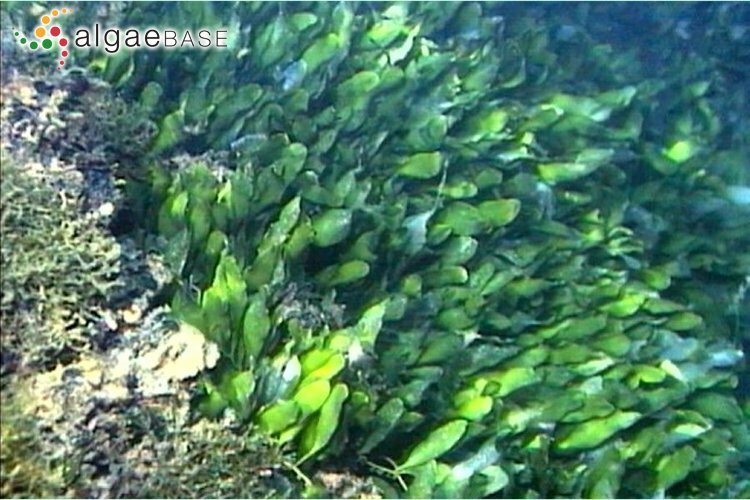 Typification of the marine siphonous green alga Caulerpa prolifera (Bryopsidales, Chlorophyta). Phytotaxa 221(2): 148-156, 3 figs. Boudouresque, Ch.-F., Rodríguez Prieto, C. & Arrighi, F. (1993). 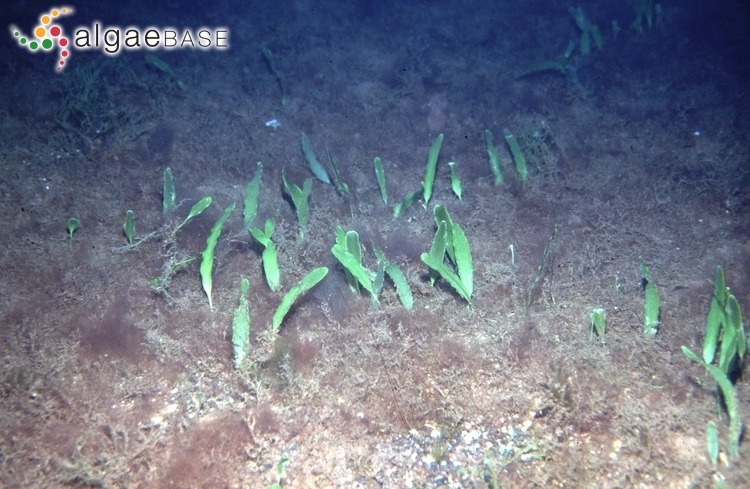 Place de Caulerpa prolifera (Chlorophyta) dans les preferences alimentaires de l'oursin Paracentrotus lividus. Trav. sci. Parc nat. rég. Rés. nat. Corse, Fr. 41: 41-51. Chen, J.C.W. & Jacobs, W.P. (1966). Quantitative study of development of the giant coenocyte, Caulerpa prolifera. American Journal of Botany 53: 413-423. Dawes, C.J. & Barilotti, D.C. (1969). Cytoplasmic organization and rhythmic streaming in growing blades of Caulerpa prolifera. American Journal of Botany 56: 8-15. Dawes, C.J. & Rhamstine, E.L. (1967). An ultrastructural study of the giant green algal coenocyte, Caulerpa prolifera. Journal of Phycology 3: 117-126. Dawes, C.J. (1971). 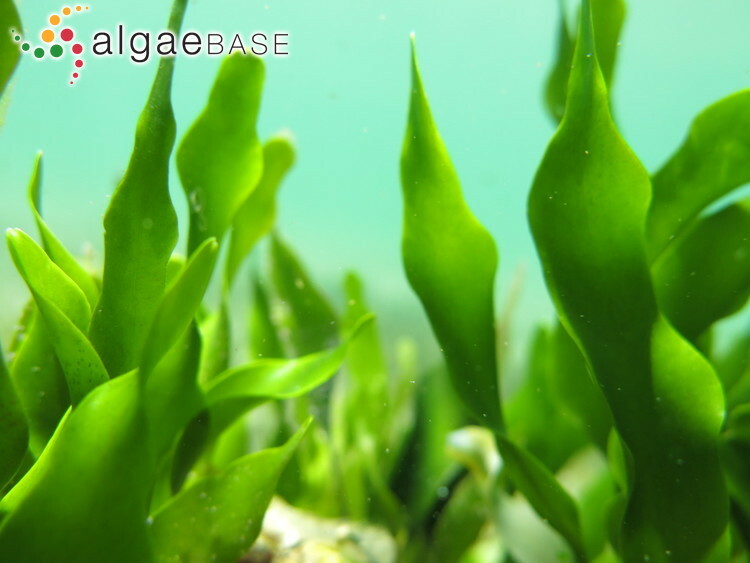 INdole-3-acetic acid in the green algal coenocyte Caulerpa prolifera (Chlorophyceae, Siphonales). Phycologia 10: 375-379. Dawes, C.J. (1972). 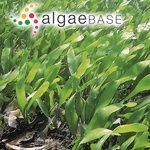 Indole-3-acetic acid in the green algal coenocyte Caulerpa prolifera (Chlorophyceae, Siphonales). Phycologia 10: 375-379, 3 tables. Jacobs, W. P. (1958). 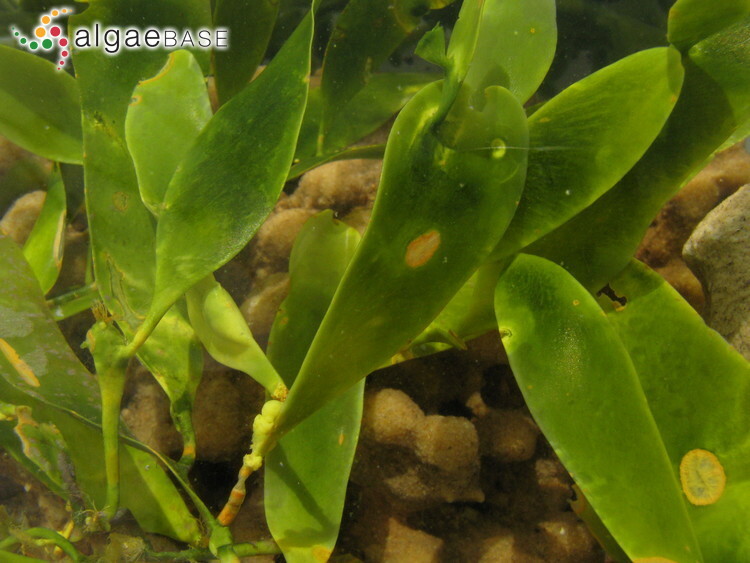 Experiments on the growth and differentiation of the giant siphonaceous alga, Caulerpa prolifera. Proceedings of the International Seaweed Symposium 3: 12. Jacobs, W.P. (1964). 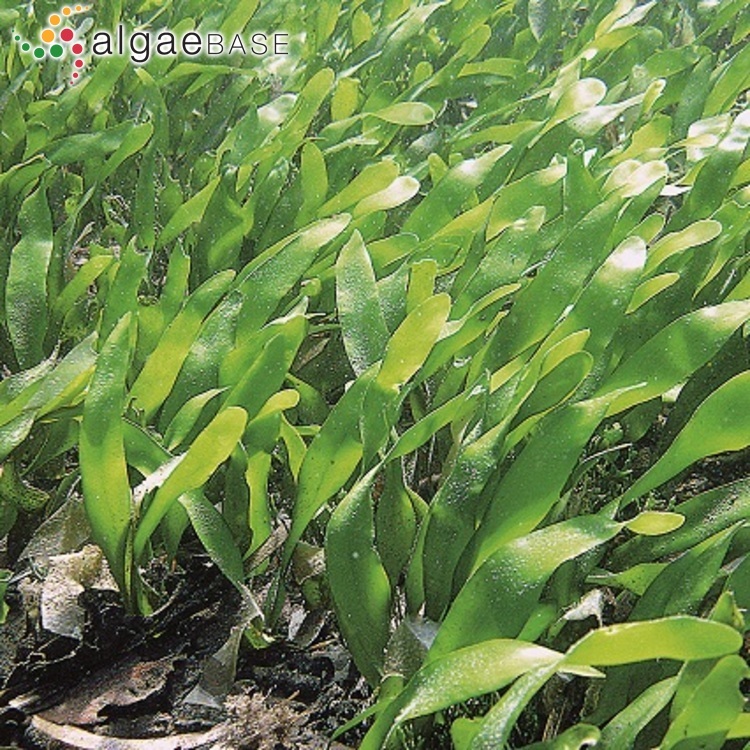 Rhizoid production and regeneration of Caulerpa prolifera. Pubblicazioni della Stazione Zoologica di Napoli 34: 185-196. Leech, R.M. (1962). The isolation of chloroplasts from Caulerpa prolifera. British Phycological Bulletin 2: 184-185. Meinesz, A. (1979). Contribution à l'étude de Caulerpa prolifera (Forskål) Lamouroux (Chlorophycée, Caulerpale). I - Morphogénèse et croissance dans une station des côtes continentales françaises de la Méditerranée. Botanica Marina 22: 27-39. Meinesz, A. (1979). Contribution à l'étude de Caulerpa prolifera (Forskål) Lamouroux (Chlorophycée, Caulerpale). III - Biomasse et productivité primaire dans une station des côtes continentales françaises de la Méditerranée. Botanica Marina 22: 123-127. Rueda, S.L. & Salas, C. (2003). 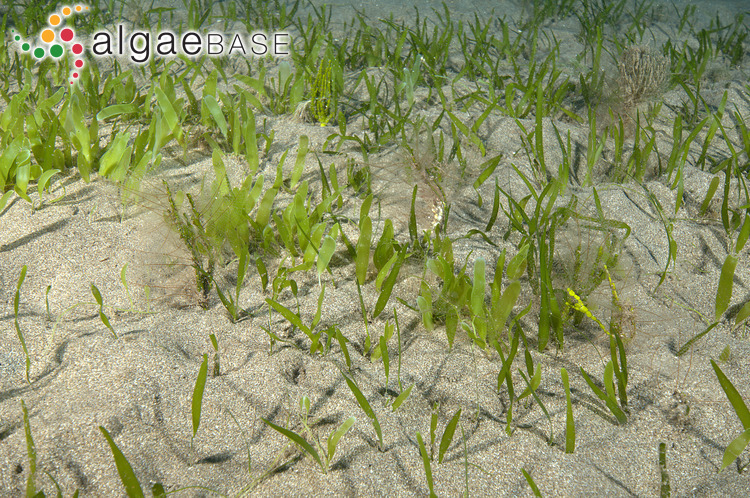 Seasonal variation of a molluscan assemblage living in a Caulerpa prolifera meadow within the inner Bay of Cádiz (SW Spain). Estuar. Coast. Shelf Sci. 57: 909-918. Sabnis, D.D. (1969). 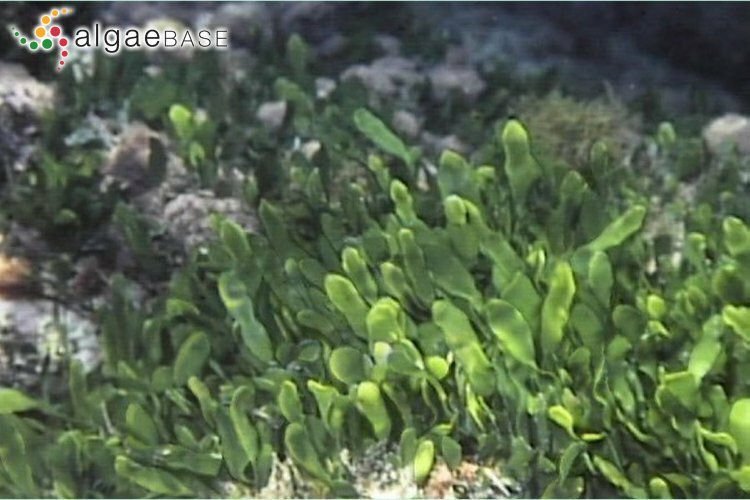 Observations on the ultrastructure of the coenocytic marine alga Caulerpa prolifera, with particular reference to some unusual cytoplasmic components. Phycologia 7: 24-42, 11 figs. Sanchiz, C., García-Carrascosa, A.M. & Pastor, A. (1999). Bioaccumulation of Hg, Cd, Pb and Zn in four marine phanerogams and the alga Caulerpa prolifera (Försskal) Lamouroux from the east coast of Spain. Botanica Marina 42: 157-164. Schussnig, B. (1939). Ein Beitrag zur entwicklungsgeschichte von Caulerpa prolifera. Botaniska Notiser 1939: 75-96. Terrados, J. & Ros, J.D. (1992). The influence of temperature on seasonal variation of Caulerpa prolifera (Forsskal) Lamouroux photosynthesis and respiration. Journal of Experimental Marine Biology and Ecology 162(2): 199-212. Vergara, J.J., García-Sánchez, M.P., Olive, I., García-Marín, P., Brun, F.G., Pérez-Loréns, J.L. & Hernández, I. (2012). 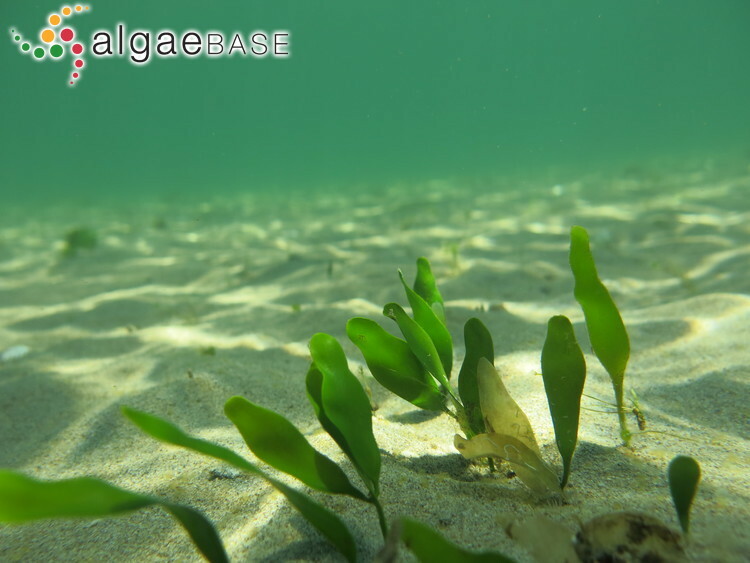 Seasonal functioning and dynamics of Caulerpa prolifera meadows in shallow areas: An integrated approach in Cádiz Bay Natural Park. Est. Coast. Shelf. Sci. 112: 255-264.